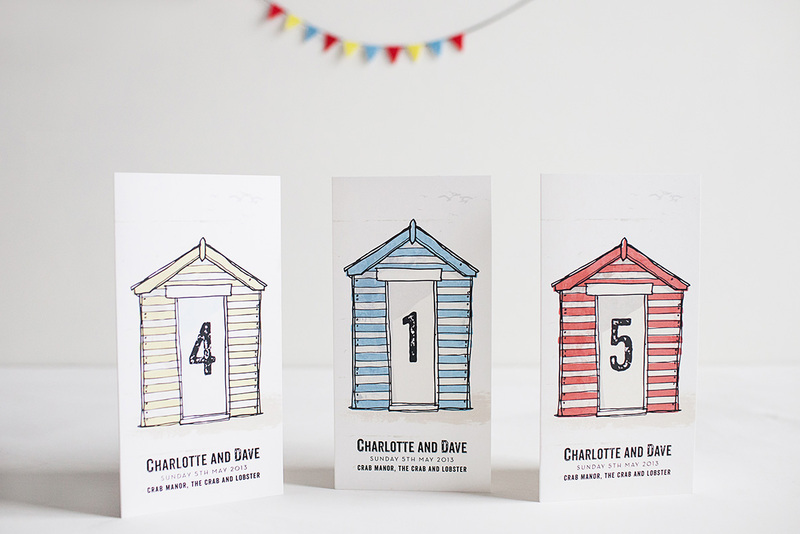 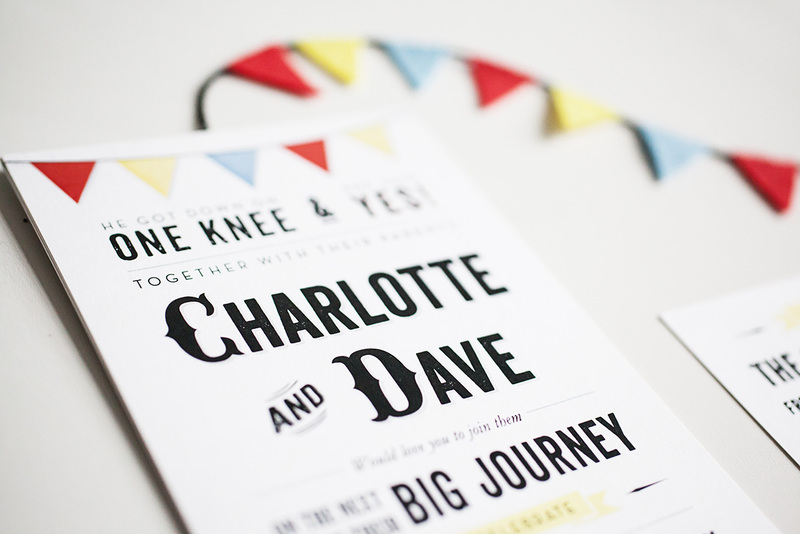 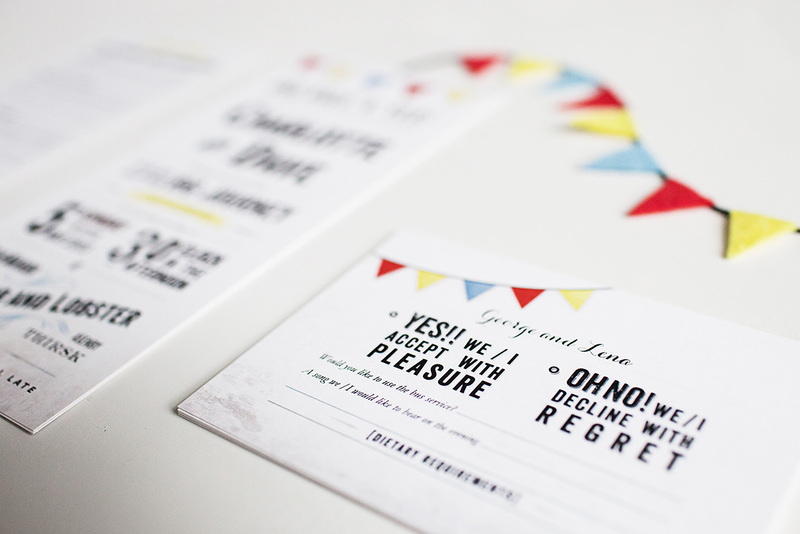 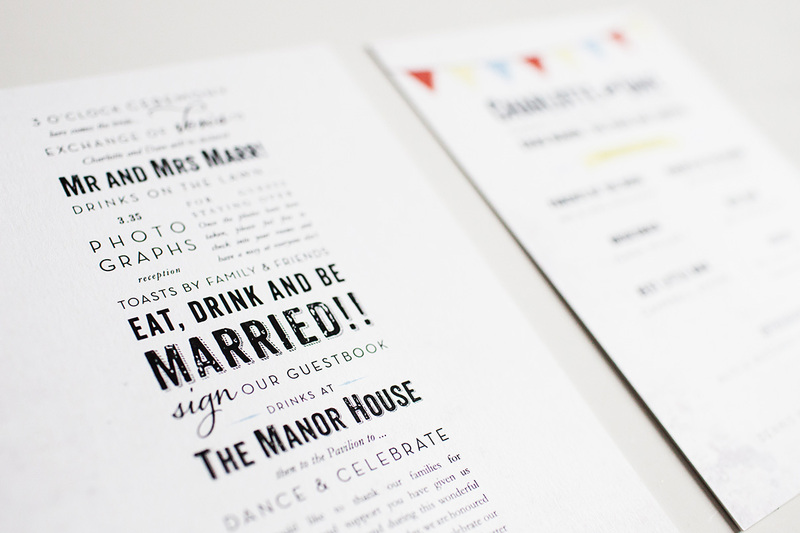 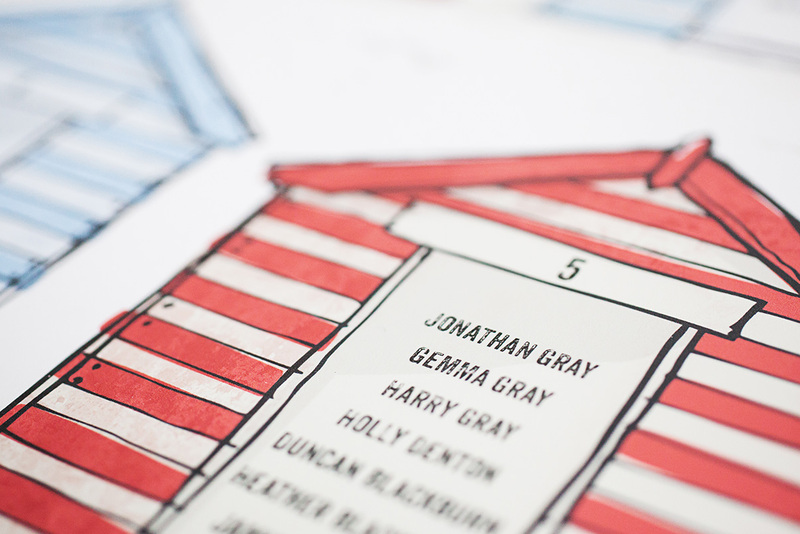 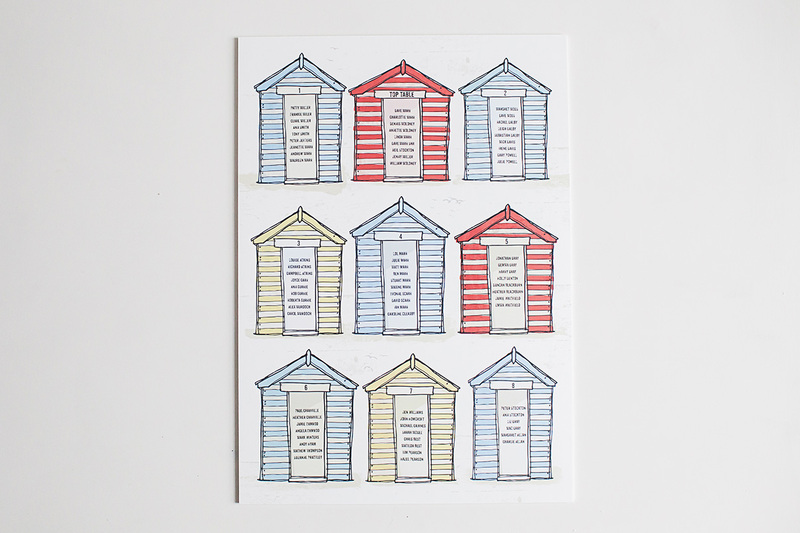 As Charlotte and Dave were getting married at the quirky Crab Manor in Thirsk near the coast she wanted to inject a fun, seaside feel into their stationery. 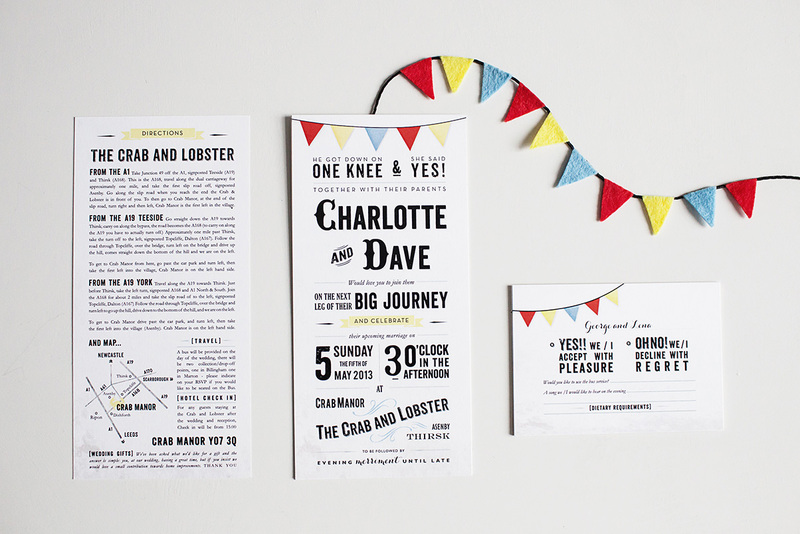 The invites drew inspiration from old typographic posters with an eclectic mix of lettering, playful and relaxed wording and subtle use of textures and pops of colour to create a coastal feel. 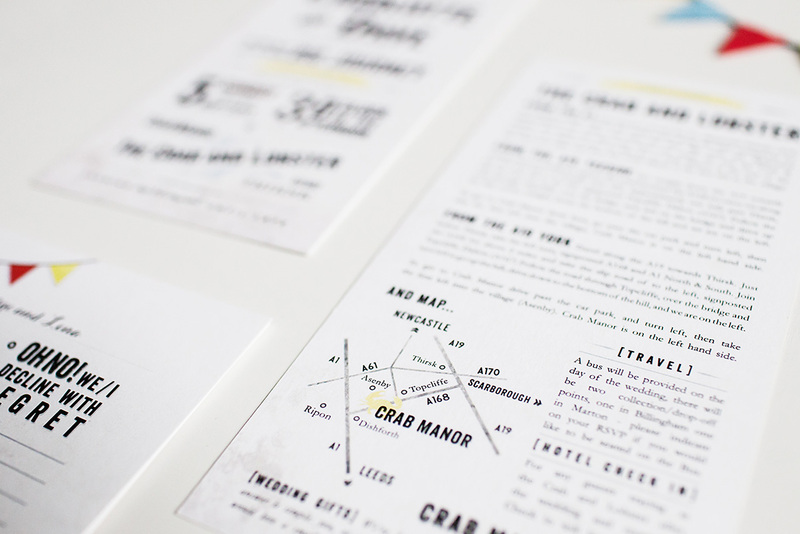 Additional information and custom map were printed on the reverse of the invitations and a small, personalised RSVP was included for guests too. 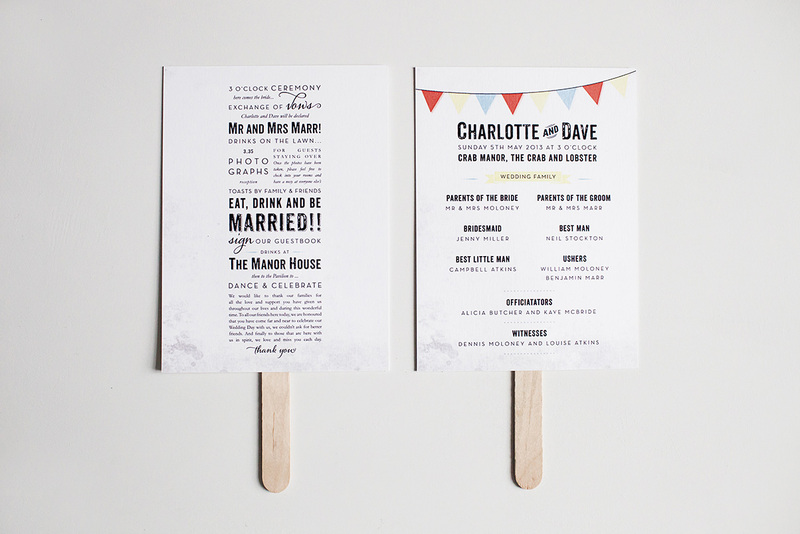 Carrying the style through to the day stationery, we also designed order of service fans, free standing table numbers with menu inside and a table plan printed on board with illustrated beach huts.